Keep going on busy days with fizzing RESCUE PLUS® Effervescent. The team at RESCUE® recognize that one of the major consequences of a hectic day and a busy lifestyle is a lack of energy and tiredness. RESCUE PLUS® Effervescent is a combination of RESCUE flower essences. Fizzing with vitamins and minerals this RESCUE product contains vitamin B12 and Magnesium which help to maintain normal psychological function and reduce tiredness and fatigue, as well as Pantothenic acid (Vitamin B5) which helps normal energy release and Zinc which helps normal cognitive function. 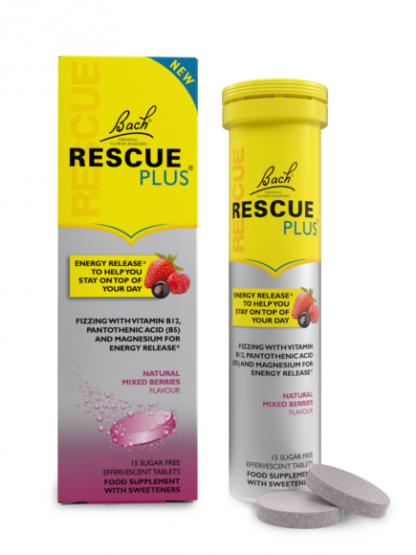 Each RESCUE PLUS® Effervescent tablet dissolves to create a refreshing mixed berry flavoured drink. Dissolve one RESCUE PLUS® effervescent tablet per day in a glass of water (100-200ml). Do not swallow or chew. Do not exceed the recommended intake. Replace lid securely. Keep out of the sight and reach of children. 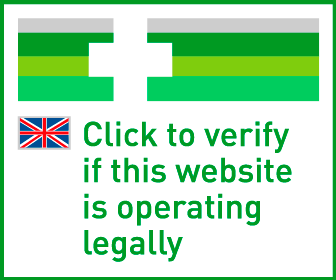 Do not store above 25°C. Food supplements should not be used as a substitute for a balance diet and healthy lifestyle.